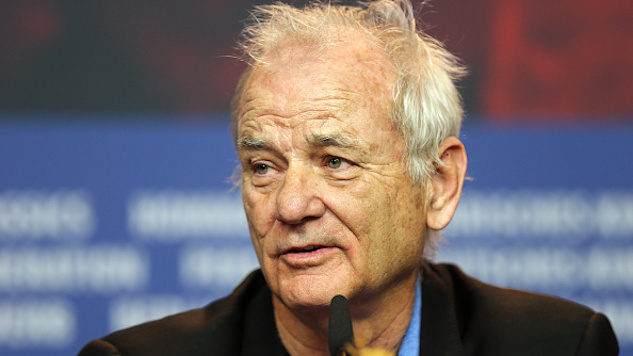 On Thursday, actor Bill Murray became the latest celebrity to publicly endorse the student-led March For Our Lives movement. Sparked in response to government officials lack of action after the school massacre in Parkland, Fla., the March For Our Lives agenda has been picking up multiple celebrity endorsements in the past few weeks. Last month, Jimmy Fallon voiced his support for the Parkland activists, promising on his Late Night show to march alongside the protesters on March 24 in Washington, D.C. Hamilton creator and Broadway star, Lin-Manuel Miranda, recorded a charity song in support of the movement earlier this month, adding his name to the list of performances at the upcoming event, alongside Jennifer Hudson, Ariana Grande, Demi Lovato and Common. Murray compares the ongoing movement to the student-led protests that came about in the 1960s as a response to the Vietnam war. To Murray, it was the students’ voices, at that time, that ended the war and brought about social change in a time where there was little action on the political spectrum. Meanwhile, the March For Our Lives protest is getting ready to take place this Saturday, March 24 in Washington, D.C. Read Murray’s full opinion piece here and visit the movement’s website here. Continue to follow Paste for future coverage of this ongoing social event.